I spent two weekends in June at dog shows, Dog Fest, at Arley Hall in Cheshire, and Dogs Unleashed, at Bakewell in Derbyshire. I had a great time, meeting our customers, introducing Vita Canis products to new people, cuddling dogs, and enjoying the weather. 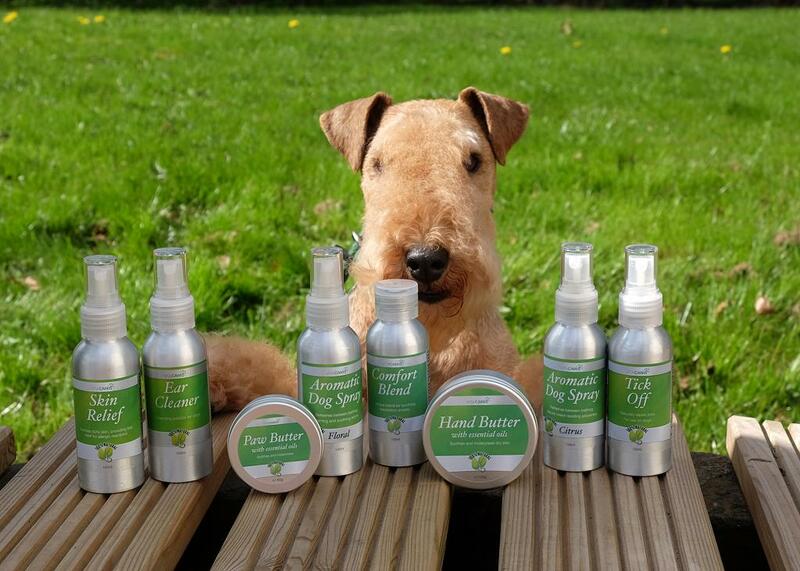 The new banner for our latest product, Vita Canis Ear Cleaner, drew lots of attention! People were coming to our stand and telling us all about their dog’s ear problems. I couldn’t believe how many! Actually, I could because as a dog groomer, I see ear problems on a daily basis… but still, it was surprising just how many. After Dog Fest Nicci suggested we should bring some cotton wool to the next show, Dogs Unleashed, and show people how to use our product, the Ear Cleaner. What a great idea!! So I made a sign offering free ear cleaning and got loads of cotton wool. Over the weekend at Dogs Unleashed I cleaned hundreds of ears… small, big, flappy, hairy, stinky, pinky… you name it, I cleaned it! To my surprise, some people didn’t know they should check their dog’s ears; and often, if they did know, they didn’t know exactly what to do or were frightened to do it. Ear infections in dogs are most commonly caused by a range of factors, including bacteria, yeast, ear mites, excessive hair, moisture or wax, foreign bodies and allergies. Because the ear canal in dogs is mostly vertical (unlike the human ear canal, which is horizontal), it is easy for debris and moisture to be retained in the canal itself leading to problems. please have your veterinarian check it out. There may be an infection or it could even be that a foreign body is present causing the infection. Methods of transmission of infection include direct penetration from the external environment, overgrowth of microflora in the ear itself, perhaps due to stress, hot weather or other factors: immunosuppression or injury, for example. If your dog has a lot of hair coming from the ear canal, this hair may need to be plucked, or at least some of it, to help free flow of air to the ear. You can do this quite easily with your fingers. Gently but firmly hold a little bit of the hair growing inside the ear and pull. Do just a little bit at the time to avoid discomfort. There are also special ear powders that may help you in gripping the hair. 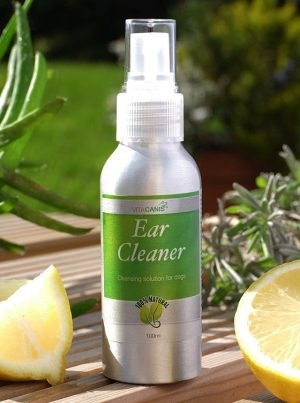 It is important to bring your dog along slowly so that he/she associates ear cleaning with something positive. 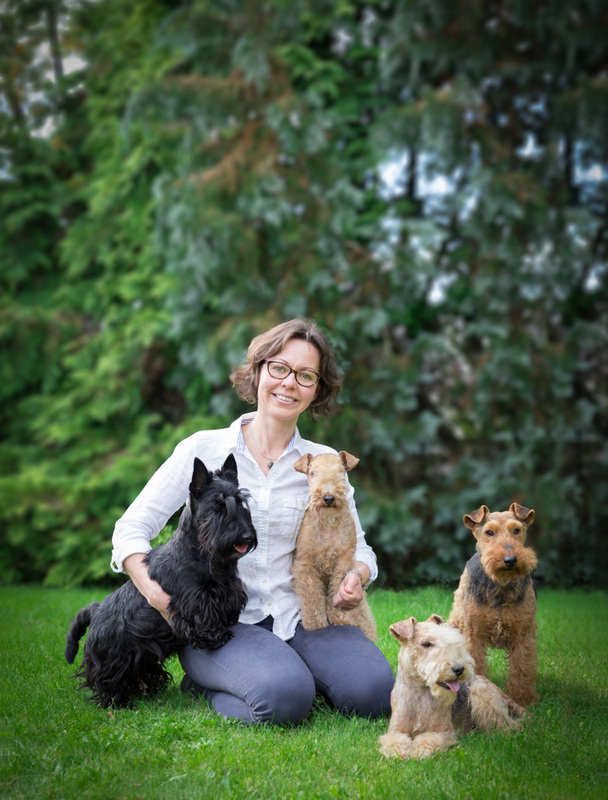 Always have treats ready to offer each time your dog is well-behaved during the process. Just like with human ears, you never want to use cotton buds because they can hurt your dog’s ears, instead use cotton wool or cotton pads. Shake the product well. 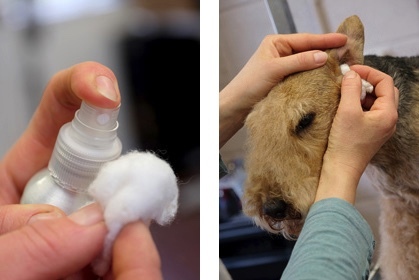 Wet a cotton ball with Vita Canis Ear Cleaner and wipe the part of the ear that you can easily see, the inside of the outer flap. Then wet a new cotton ball to clean a little further into the inner ear. Make sure you use a new piece of cotton wool for each ear. Ideally, you want to do this about once a week to keep your dog’s ears free from infection and smelling sweet.